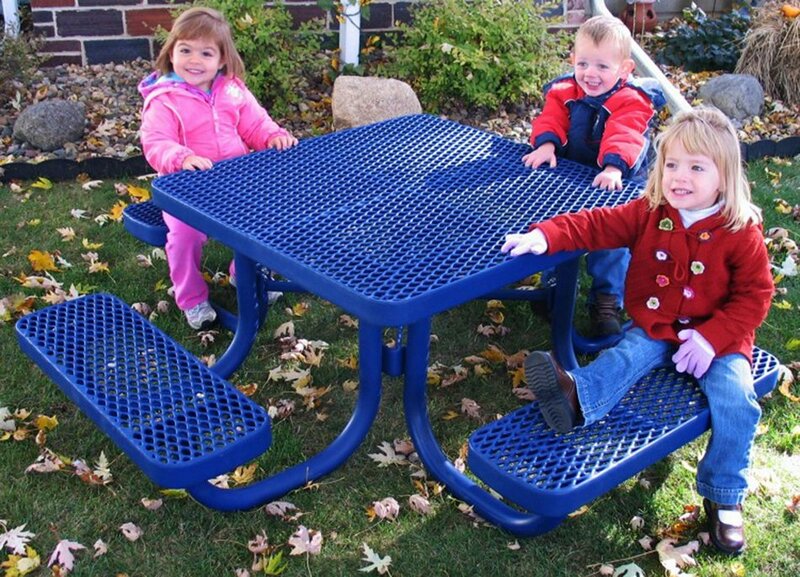 Commercial Kid’s Picnic Tables Built To Last A Lifetime In ALL Climates! 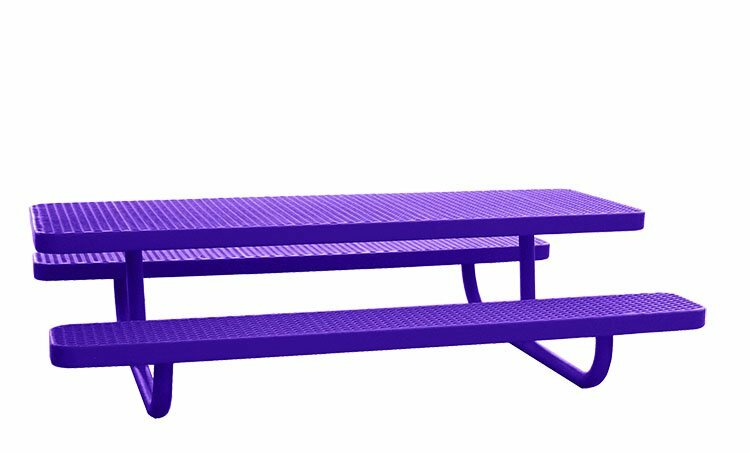 The Premier Advantage: Commercial Kid’s Picnic Tables built with Durability and Stability that look good and are manufactured to last a lifetime in ALL climates. 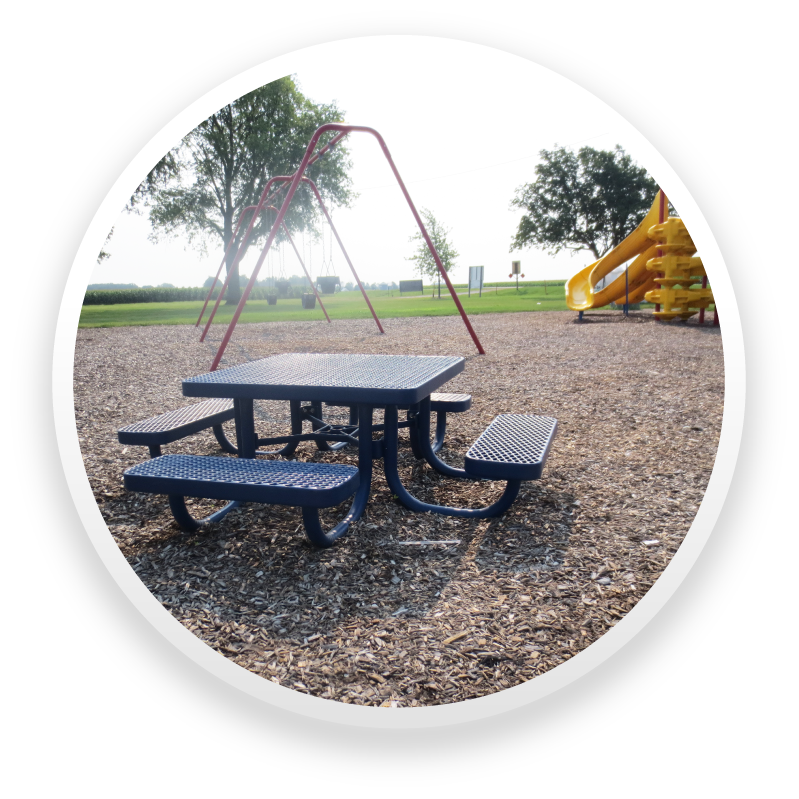 The Champion Series of Kid’s Picnic Tables are purposely designed to be fun, durable, and safe. • Accidently tipping the table is next to impossible due to the sturdy frame design. 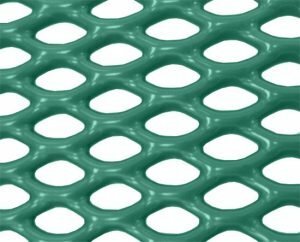 • The poly-vinyl coated pipe has no openings that would allow access to bees and other insects. 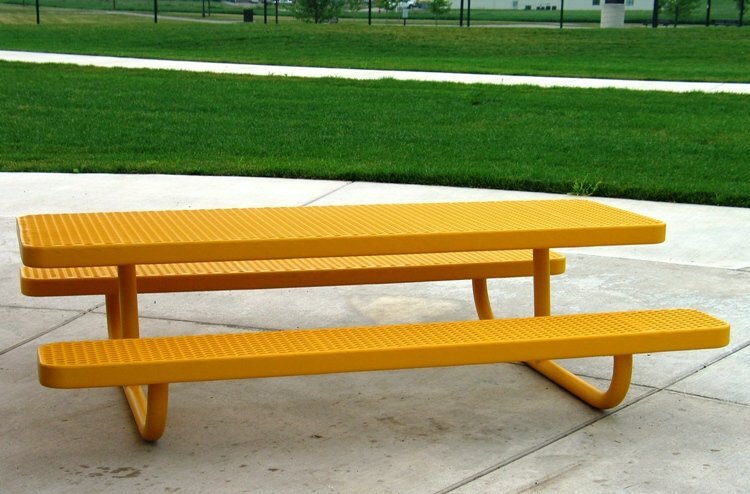 • A tough poly-vinyl coating meets worldwide safety standards. • Quality was not spared on Premier Polysteel Kids! 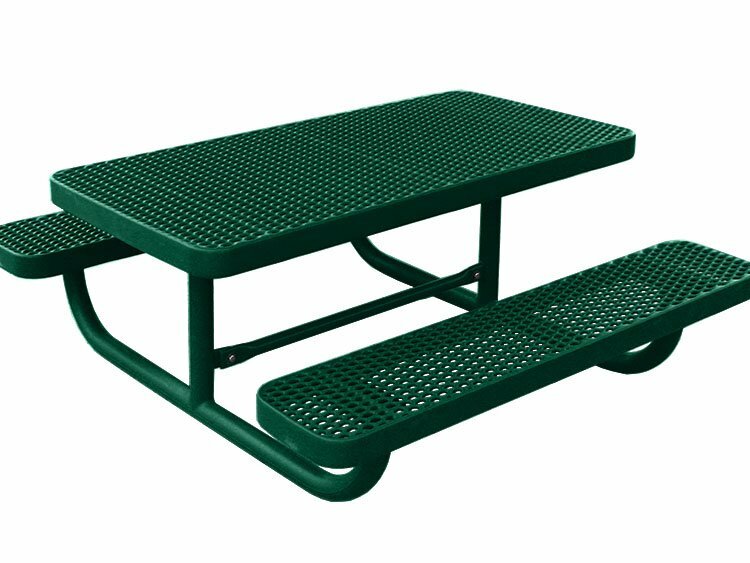 Premier Polysteel’s completely poly-vinyl coated steel picnic tables are specially designed to withstand even the toughest of conditions. 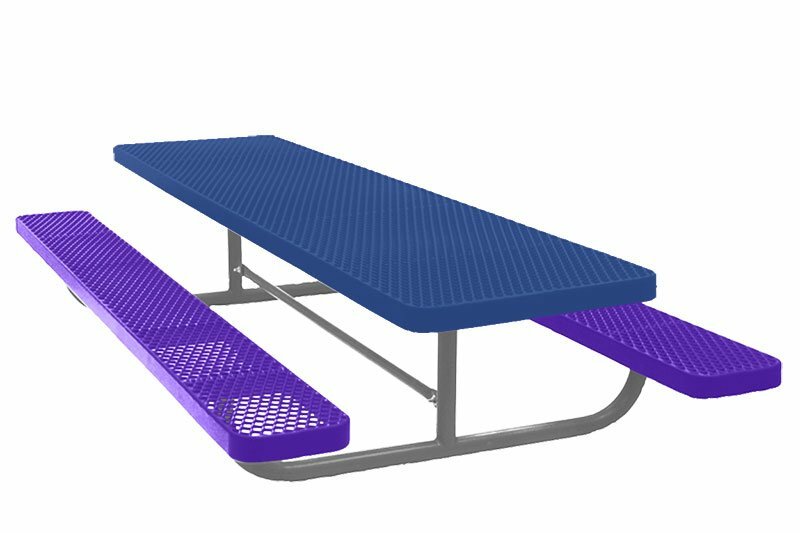 The tough coating provides a UV stable and mold resistant surface. 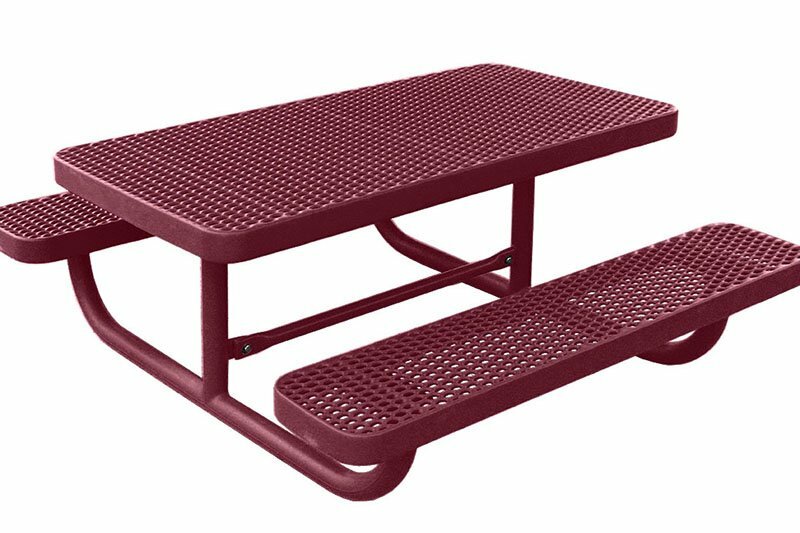 Every part of the picnic table is covered so it will never rust. Twelve standard colors are offered. So mix and match your favorite colors for a fun look! Scroll through the color options to find just the color combination you love. 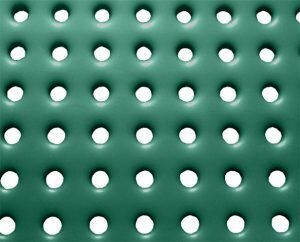 The seats and tops are available in either coated expanded metal (diamond pattern) or perforated (punched) steel. 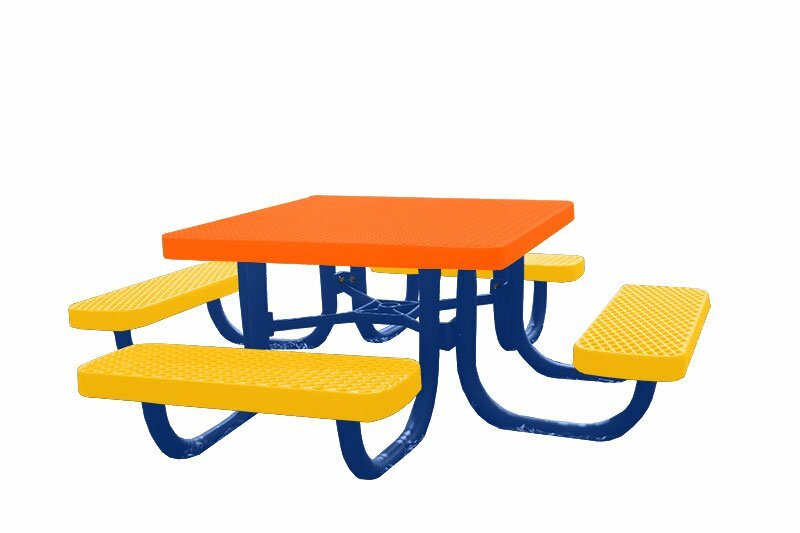 Commercial Kid’s Picnic Tables Designed for Fun! 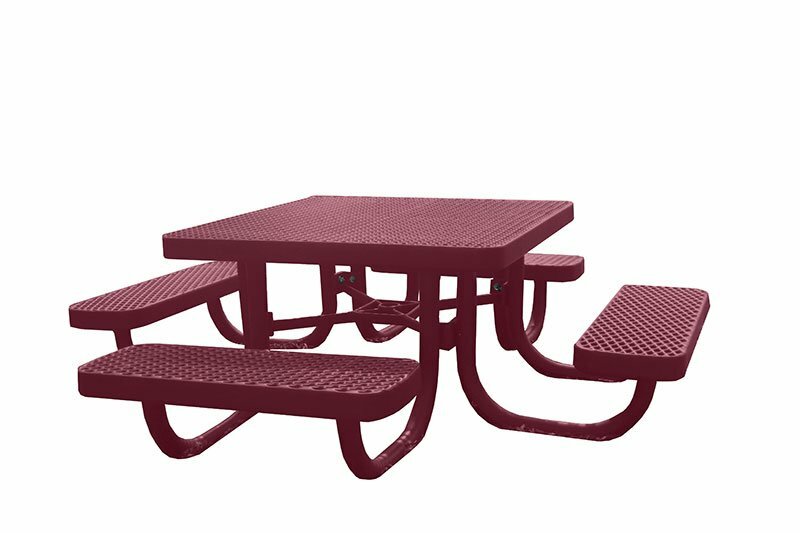 Choose 4’, 6’, or 8’ rectangle picnic tables in either the free standing or multi-pedestal direct bury mounts. 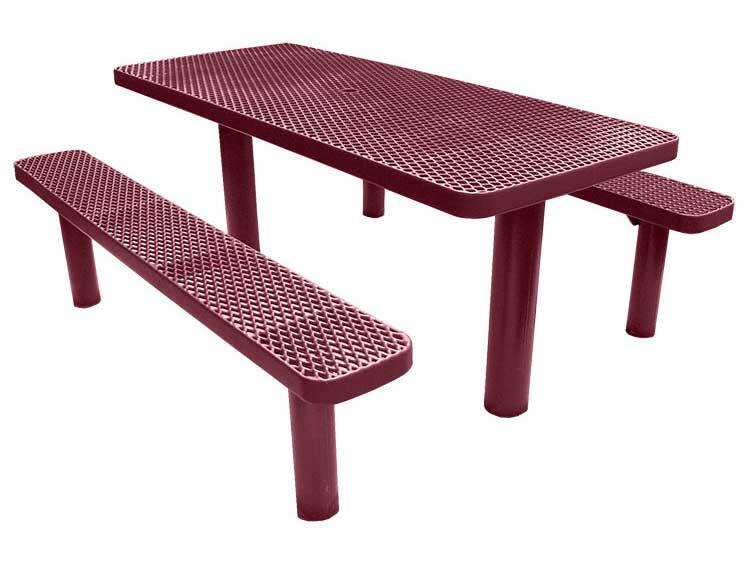 The 3’ square picnic table is available with a free standing base. 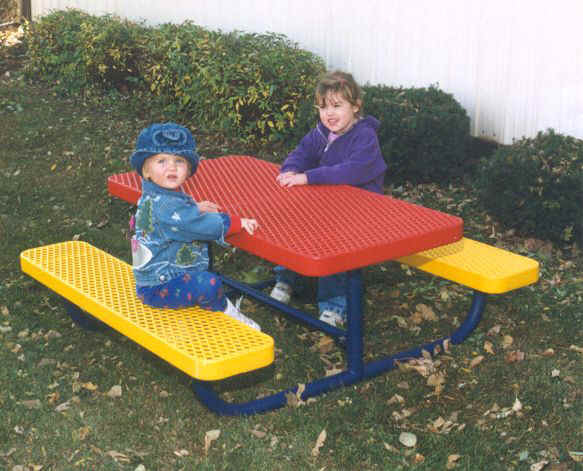 Best of all, the Champion style Kid’s Picnic Tables are comfortable, very easy to clean, and will look great for years. Built tough enough to take whatever the kids can dish out! Best of all, we offer a 20 Year Best-in-Industry Warranty! 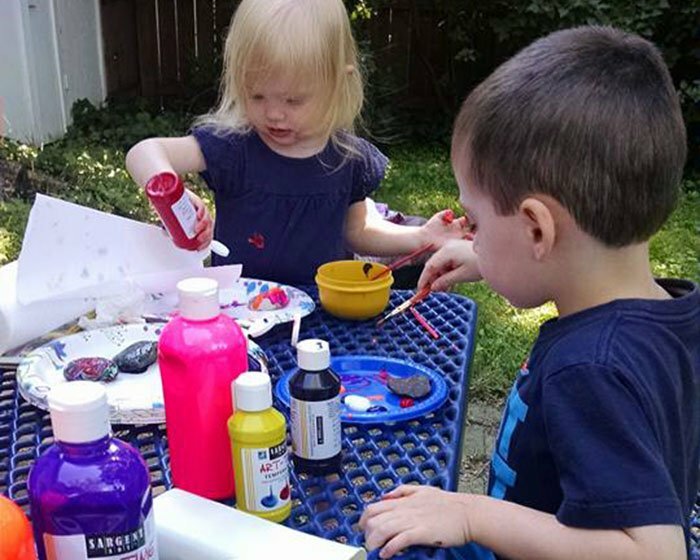 Not looking for a Kid’s Picnic Table? Check out our other designs and configurations! How big is the umbrella hole in a table? 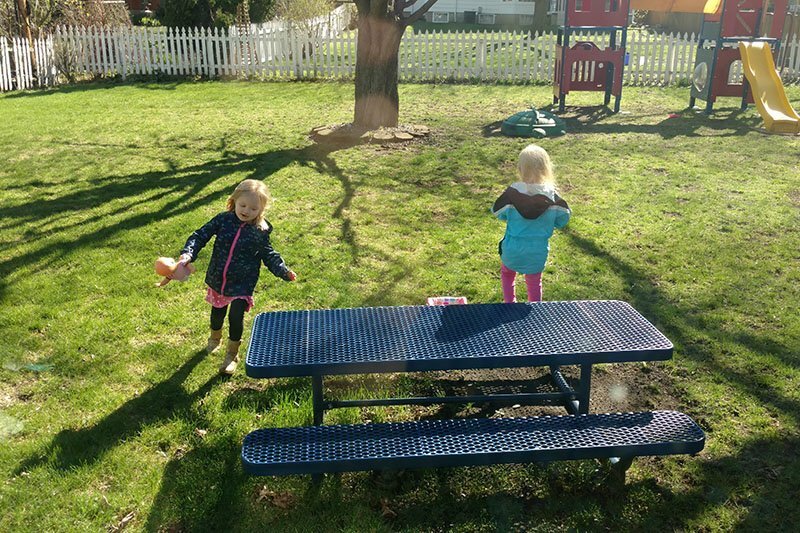 Can children’s picnic tables support an umbrella? 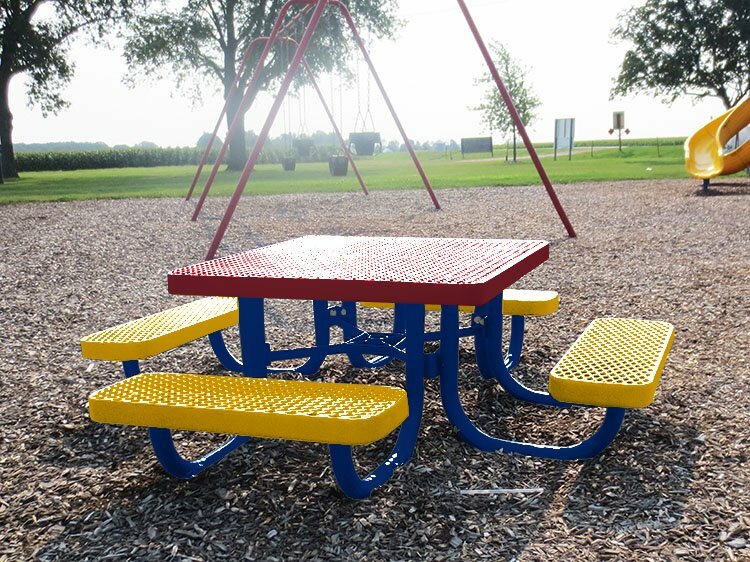 Every picnic table is coated with a thick layer of poly-vinyl for protection against all environmental elements. It’s a tremendous value with the added benefit of our Best-In-Industry 20 year limited warranty!